This video brings back memories of Layang Layang. It was taken in 2002 at the end of my stay at the University of Singapore were I was invited as guest for one year. LL is an atol located 300 km West of Kota Kinabalu, Saba Malaysia in the South Chinese sea. Surrounded by deep water and steep drop offs. It has a nice resort with a pool and a diving club. It takes a 2 hours flight to get there with a small aircraft. I used a Panasonic video camera in a Hugy housing that I had just bought in Spore. Turn down the background music if you dont like it. 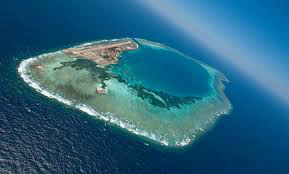 If you happen to travel to Malaysia a visit to two famous diving sites is recommended, Sipadan/Mabul in North Borneo and Layang Layang using local flights from Kota Kinabalu.